Temple Run Oz is in the Store! I was just browsing the store today when I noticed that Disney had released yet another game, Temple Run Oz. 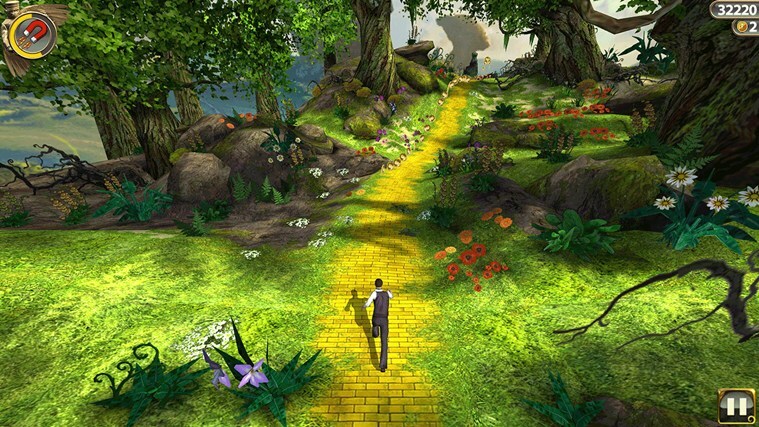 This game is essentially a Wizards of Oz branded version of Temple Run 2. Whereas Temple Run Brave was built on Temple Run 1, this one is built on Temple Run 2. You can see that from the screenshots which show curved roads, balloon flying, and warm-holes. This game is not free nor does it offer a trial version. It is a paid app and requires a leap of faith. I will let you decide if you want to buy it or not. It is currently $3.49.